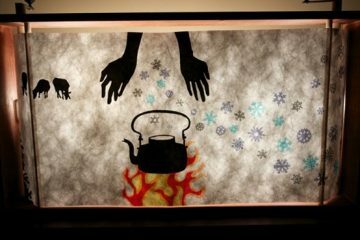 The Baker Portfolios and associated awards were launched in 2008 by the William G. Baker Memorial Fund in collaboration with the Greater Baltimore Cultural Alliance (GBCA). In 2014, the program was brought in-house to GBCA, and officially became a program of the Alliance. The program offers a well designed portfolio website created to showcase all participating artists’ work, as well as provide monetary awards, additional exposure, and an exhibition at a major institution for each year’s winners. After the first two years, changes were made to the process, including removing a popular vote for b-grant winners. In 2014, the smaller awards were increased from $1,000 to $5,000. Cara Ober: The Baker Awards are making changes again for 2016. What are you aiming to accomplish with these changes? David London: One of the joys of working with the Baker program is that we are always assessing its value and impact and exploring new ways the website and awards can better serve the greater Baltimore artistic community. For the 2016 season, we want to offer a truly transformational prize and to create a new structure that will highlight the amazing finalists who have not been given public recognition in the past. Additionally, we have made some structural and branding changes to the site, as a result of conversations about how to better highlight the portfolio aspect of the site. Our goals are always to provide the best possible service to the community by increasing awareness, exposure, and recognition of the diverse art and artists in the region. 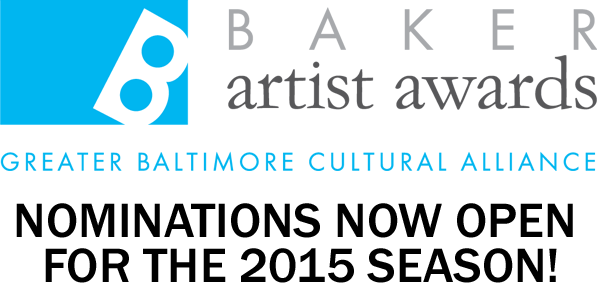 CO: Can you talk about the long-term goals of the Baker Artist Awards and how this is unique to Baltimore? DL: The mission of the Baker program is to support artists and promote Greater Baltimore as a strong creative community. We artists to see that Baltimore is a great place to live and make work. And we want others to appreciate artists’ contributions and buy their work! Melissa Warlow: In developing the awards program, the Baker Fund’s Board of Governors was driven by its vision to create an environment where Baltimore artists thrive and the lives of the region’s residents are enriched by their presence. 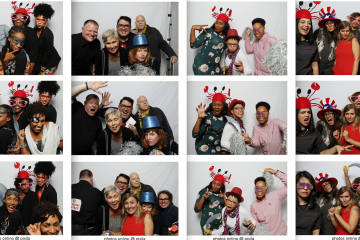 The on-line portfolio site is critical to that vision, giving voice and visibility to metropolitan Baltimore artists and providing a vehicle to present their talents to local, national and international audiences. The monetary awards are an important component and serve multiple purposes: to provide an incentive for uploading creative work onto the website, to support the lives and creative processes of the winners, and to send a message that the Baltimore region welcomes and supports artists in their creative endeavors. 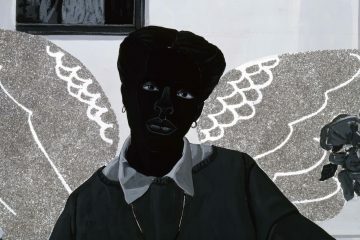 Finally, announcing the winners on MPT and the annual exhibition at the BMA provide important exposure to audiences who are not necessarily plugged into the site and who value experiencing the award-winning work in person at the BMA. CO: Let’s talk about changes in monetary value. You are switching from three 25k awards and three 5k awards to one 50k, one 20k, and three 5k awards. Does this suggest a change in the core values of the program or merely a refinement of the original goals in 2008? What does the organization hope to accomplish by offering one significantly large award? DL: These changes do not represent a change in our core values, but rather the evolution of our thinking about the potential of both the site and the prizes. 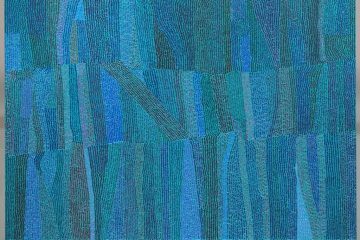 This year, there will be one $50,000 Mary Sawyers Imboden Prize, one $20,000 Mary Sawyers Baker Prize, and three $5,000 Prizes. The change in award amounts was made to create a truly transformational prize for one artist, while maintaining meaningful support for four additional artists. 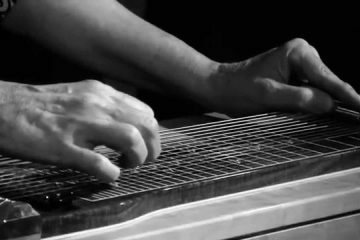 The $50,000 prize will be awarded to an artist who exemplifies a mastery of craft, commitment to excellence, and presents a unique and compelling vision. Connie Imboden: Starting in the early 1990’s, my mother, Mary S. Imboden, began to suggest that I take her place on the Board of Governors of the William G. Baker, Jr. Memorial Fund. At the time, I was very busy with my career as an artist and had no interest in philanthropy. In the mid-90’s, my mother began to develop signs of Alzheimer’s disease and by 1999 it was hard for her to put her thoughts together but she had the wherewithal to insist that I take her place of the Baker Board. Out of my deep respect for her and her strong feelings, I accepted. This turned out to be one of the most important decisions of my life as the Baker Fund, and the good it continues to do, has become a passion for me. DL: We have also eliminated the title of “b-grants” and the three $5,000 awards will henceforth be known as the The Semmes G. Walsh, Nancy Haragan, and Board of Governors Awards. These prizes will continue to recognize both emerging artists and established artists exploring new directions. Semmes G. Walsh gave more than forty years of service to Baltimore and the William G Baker, Jr. Memorial Fund who were grateful for his integrity, common sense, and a commitment to artistic excellence. Nancy Haragan, founding director of the Greater Baltimore Cultural Alliance, gave years of creative service to Baltimore’s arts sector. The Board of Governors Award recognizes the amazing contribution that the William G. Baker, Jr. Memorial Fund’s Board of Governors has made to Baltimore. CO: In the past your secret jurors have selected approximately 60 finalists for the award before narrowing it down to the winner. Why do you want to now make finalists status public this year? DL: This decision to add a public “Finalists” page to the website, which will feature up to 60 artists starting in February 2016, is two-fold. First, it is meant to increase the value and impact of the program for a larger pool of artists. Approximately 60 finalists, whose work is viewed as exemplary, will receive a professional credit as well as a heightened level of visibility. CO: I have thought for many years that the Baker website is a more significant prize than even the money you award and the show at the BMA. It’s well designed, looks beautiful, totally free, and is easy to use. It must have been costly to design and to maintain and it can be overlooked by artists whose focus is the cash prize. Can you talk about the changes to the website and what the goals are? DL: We see the website as a tool of great value to participating artists providing a free, user-friendly, online portfolio to all eligible artists in the region. The language throughout the site has been changed to help shift both the artists and the public’s view of the Portfolio site, in an effort to increase understanding of the site as a stand-alone program, un-related to the awards. Along with the rebranding to Baker Artist Portfolios (discussed below), we have eliminated the word “Nomination” from the site. Artists are no longer “Nominating” themselves, but rather creating a “Portfolio.” Artists who create a Portfolio will be automatically in the running for an Award. 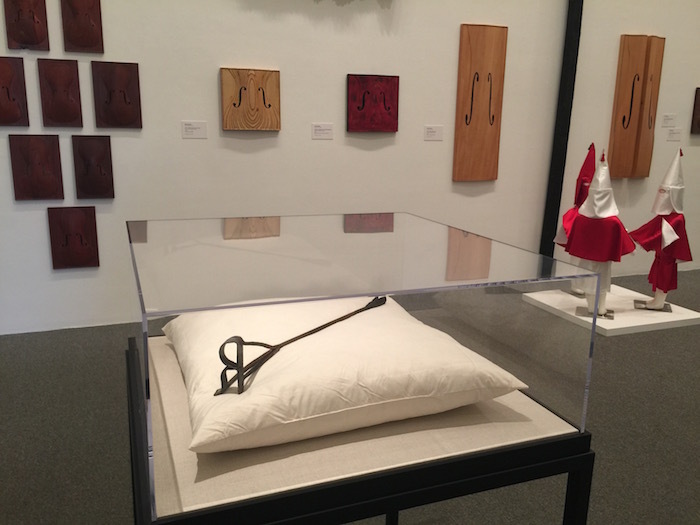 CO: There are many critics, including myself, who have said for years that changing the Baker’s secret jurying practices to one where the jurors are public would create more transparency and more value for artists in the area. 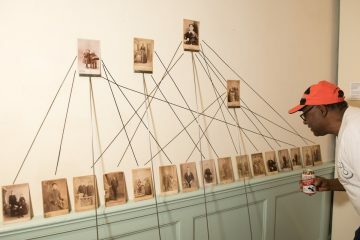 Knowing who the jurors are can create layers of recognition, in terms of the artists selection and for the larger art world beyond Baltimore. Do you see this practice changing in the future if Baltimore artists continue to ask for it? DL: Like all aspects of the program, the Baker team continues to discuss and consider all aspects the jury process. CO: In the past I have had out of town colleagues assume that I was nominated for an award when they see my entry on the site, and this is not accurate as artists are self-nominated. Next year, Baker is changing the language around the nomination process to a ‘portfolio’ rather than a ‘nomination’ — this seems to suggests more neutrality in the process and less confusion. Was this the reason behind the change? Aside from the change in description will any other part of the uploading or application process change? DL: The website has been rebranded as the “Baker Artist Portfolios,” which was done in an effort to increase the understanding of the site as a portfolio of Baltimore artists, independent of but connected to the award program. We feel as though, at this moment in time, with the eyes of the world on Baltimore, the Baker Artist Portfolio site is an opportunity to show the world our amazing art, artists, and community. The site offers images of our community you are not likely to see on CNN. Though we recognize that some artists will create a Portfolio solely with the hopes of receiving prize money, we hope that this change in language will be a positive step in shifting the perception of the website in both the minds of participating artists. For the public, we hope that this change in language will help eliminate any confusion regarding the former “self-nomination” process. We take great pride in knowing that the site has been viewed in nearly every country across the globe, and we often hear stories from artists who have their portfolio on the site, who have found collaborators, collectors, fans and friends from the site. We often hear from artists that many use their Baker Portfolio profile as their professional website. The application and uploading process will remain the same. CO: In the future will you offer tech support to those who need it in order to attract a more diverse group of applicants? Is this a service that GBCA currently offers via the Baker site? There are definitely artists in Baltimore who are challenged by socio-economics and age who are not able to apply. DL: We will be offering a free info session at the Baltimore Community Foundation on Monday, November 16th, from 1PM – 3PM, which will go over both the technical aspects of using the site, as well as provide an overview of the program. We have also updated the “Help” section on the website with more in-depth instructions and tips on creating and improving a nomination. Artists who require additional support of any kind are welcome to contact Program Manager David London at [email protected] or at 410-230-02000, should they require one-on-one help or technical assistance. 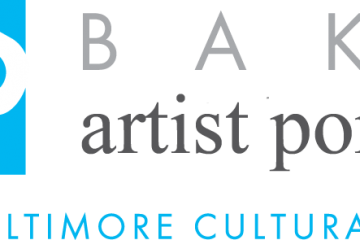 We are committed to helping artists create the best portfolio possible and are spreading the word among GBCA’s growing constituency about the Baker Awards and the Rubys Artists Grant Program. CO: In the past I have criticized the awards for choosing a disproportionate number of male artists for the top prize. Although I understand that jurors need to have one main criteria – ‘the best art’ – in mind, this is a completely subjective decision. 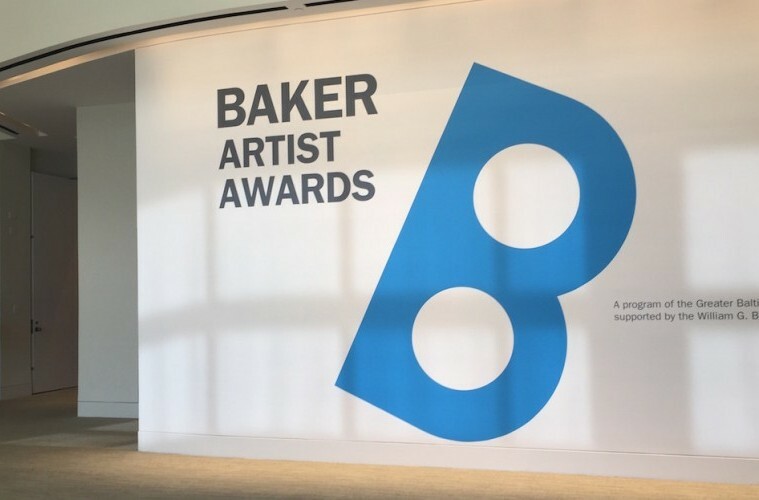 Is there a way that the Baker Awards can become more transparent and equitable in selecting a more diverse range of artists to represent Baltimore more accurately? I know that the award is not designed to reflect Baltimore statistically or from a quota standpoint – however, this award via secret jurors has the opportunity (at least this is how it seems from the outside) to choose anyone within reason. It would be positive and powerful to continue to see more women and people of color receiving this top award – just because there are so many deserving and talented people in Baltimore and because the larger art world is, frankly, doing a terrible job in race and gender equity. It would be great for Baker to be a leader in recognizing a more diverse range of talent. Can you respond to this or explain the reasoning behind the current practices that have gotten us to this point? DL: Since the inception of the program, the jurors have been instructed to make their selections based solely on the artwork represented on the site as well as each artist’s portfolio as a whole. We remain intentional when selecting both local and national jurors to ensure not only their expertise in their particular field, but also that they represent the full spectrum of race, gender, backgrounds and views. Ultimately, the selection of each year’s winners is in the hands of the experts. CO: Your organization is amazing and doing so much for artists in Baltimore!!!! Thank you for continuing to do what you do and to innovate and reinvigorate the process. It is important, it is valued, it is appreciated! Going forward, what would you like potential new participants to know about the awards program, website, or exhibit? DL: The Baker Artist Portfolio site is a unique opportunity for Baltimore to put its best foot forward. GBCA has received numerous calls and emails from regional, national and international media over the past few months asking what is taking place in Baltimore. We proudly point them to the Baker site as a window into the art and artists of our city and region. We believe that now is the time for artists to help show the rest of the world what we all know about Baltimore—that this city is a thriving hub of artistic practice, amazing artists, and an artistic community which supports one another and celebrates a culture of creativity and transformation. Independent of the awards, participating in the portfolio site is an opportunity to show the world what we all love about the Baltimore region! Artists, remember you can upload or update portfolios through 5PM on January 15, 2016.